Vintage - Harmony House China Dinnerware - "Scroll" Pattern - Made in Japan during the 1960's, and sold by Sears as Fine China. A very rare pattern. Complete Service for (6) with extra pieces. 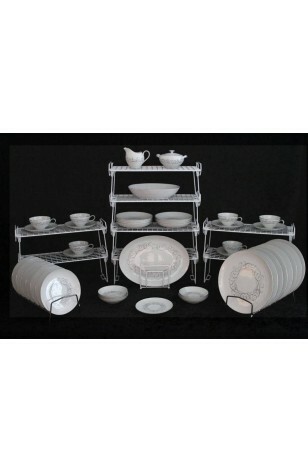 Lovely White Plate with Black "Scroll" Pattern in Center, and a Platinum Rim. 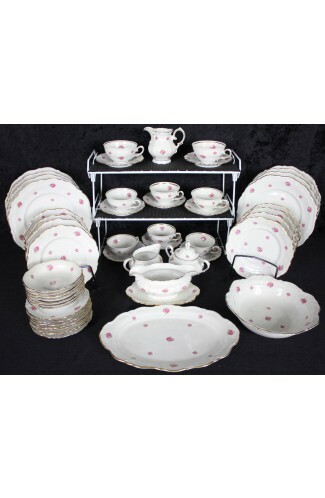 Can be used with other China for Accents, or very Elegant when used alone for Luncheons, Dinner Parties or Buffets. Vintage - Harmony House China Dinnerware - "Scroll" Pattern - Made in Japan during the 1960's, and sold by Sears as Fine China. A very rare pattern. Complete Service for (6) with extra pieces. 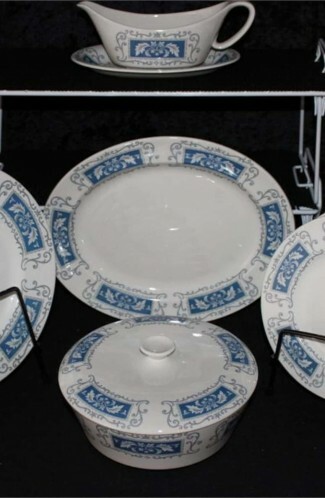 Lovely White Plate with Black "Scroll" Pattern in Center, and a Platinum Rim. 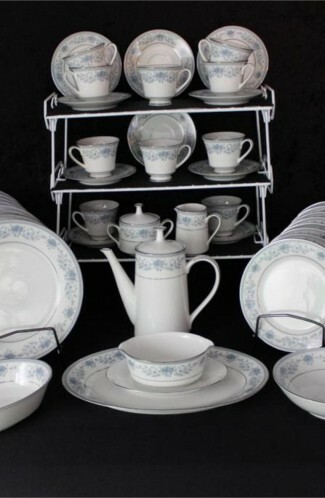 Can be used with other China for Accents, or very Elegant when used alone for Luncheons, Dinner Parties or Buffets. 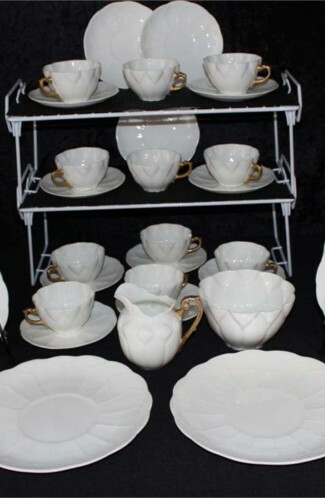 6 - Cups - 2 1/8"
7 - Saucers - 5"
7 - Fruit/Dessert Bowls - 5 5/8"
7 - Salad Plates - 7 3/4"
8 - Dinner Plates - 10"
8 - Coupe Soup Bowls - 7 5/8"